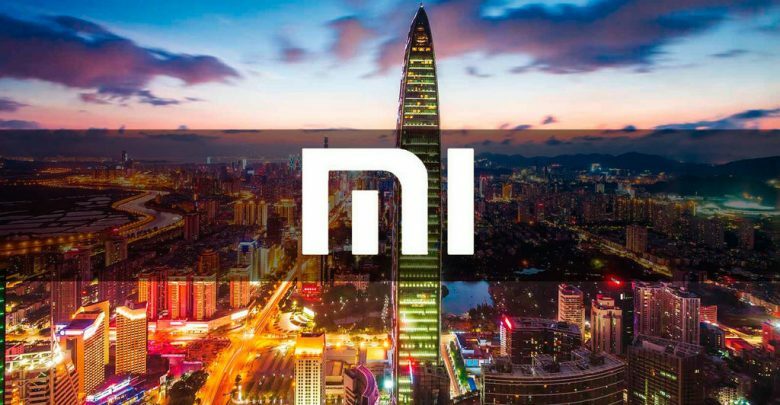 Xiaomi intends to take the largest territory to open more Mi Stores throughout the European continent and after opening several branches in Spain, France, and Italy, Xiaomi UK could not be left behind, so they will soon be in the town of Westfield, London. The United Kingdom is pleased to be the new destination of the Chinese company with the opening of a Mi Store in a large shopping center in Westfield, London, where without a doubt we will find the best products of the company, as it is not a novelty that every opening of a physical store is done in style, without skimping on expenses and surely Xiaomi UK will not be an exception. 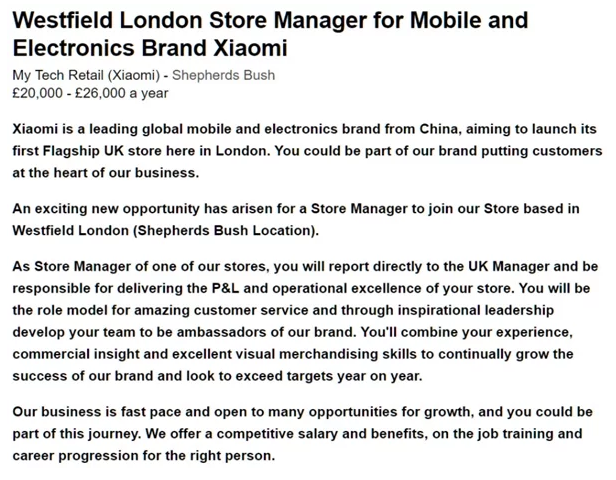 In a statement from Xiaomi UK, they informed that they are looking for a manager for this first Mi Store in London, they are looking for a person who has a profile of being an inspiring leader, with sufficient experience in the area of marketing and personnel management, with goals to overcome and take the store to the next level, the company in exchange offers opportunities for improvement, excellent salary, training and other more exclusive benefits of the store. If you are a Mi Fan living in London, this is your chance to participate, show your potential and you will be able to join the Xiaomi UK family. Last Monday the first tweet of Xiaomi UK was posted, the only bad thing is that this tweet did not reveal any relevant data since they only wanted to make clear their presence in this social network. We hope that the inauguration will be very soon, also, that more Mi Stores will be open all over the United Kingdom.